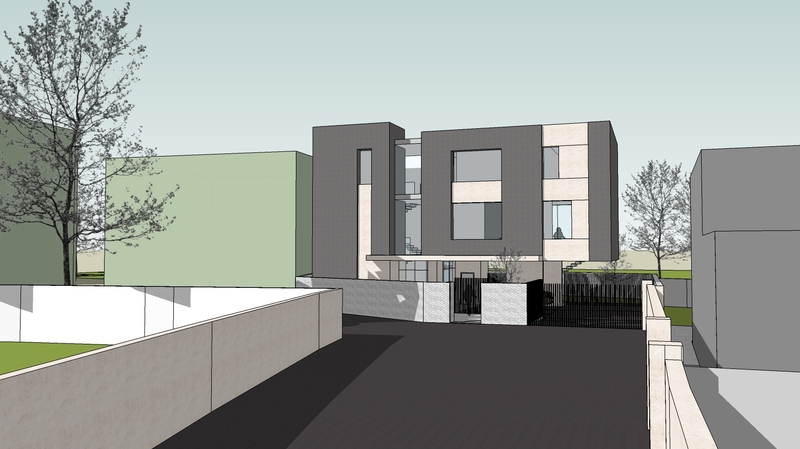 Access to this site is down a narrow lane off Anglesea Rd. 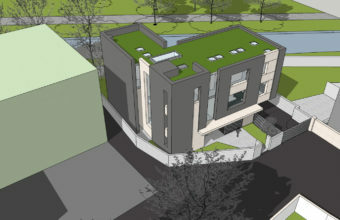 The site overlooks the Dodder to the west. 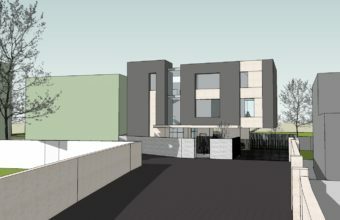 A large portion of the site is populated by four cubic ultra modern sleek apartment buildings, leaving dilapidated Tudor house in the north west sector of the site. 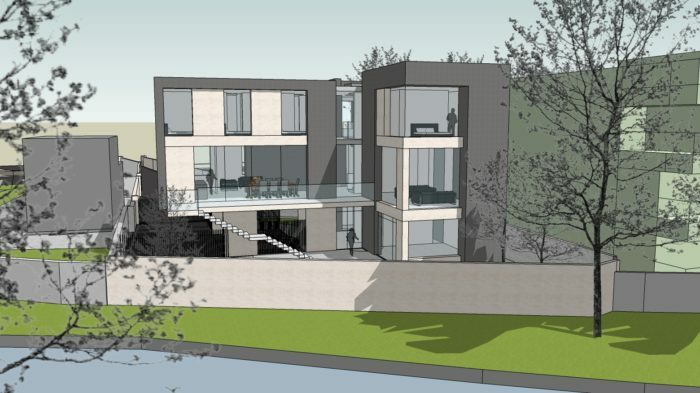 The brief was to design a contemporary 5 bedroomed house on this site for modern living and entertainment. 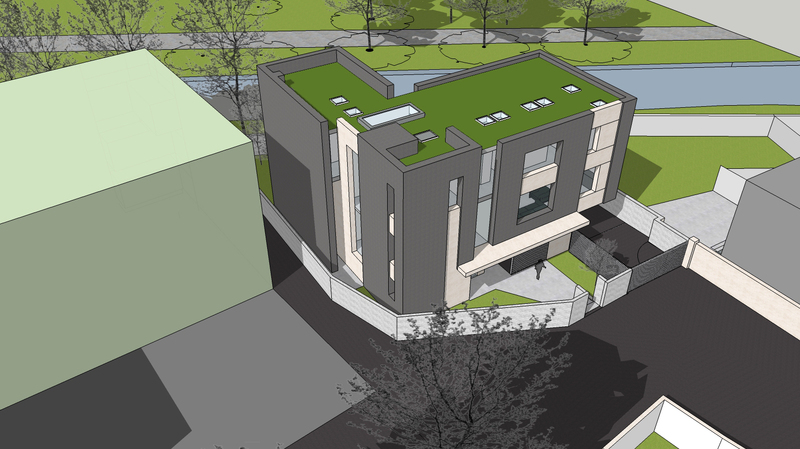 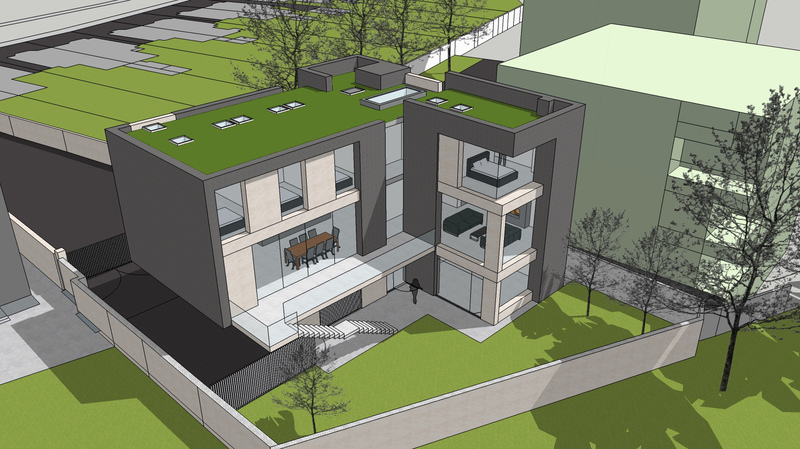 The result – a 3 storey house that allows the residents to park below the house in an undercroft and take the lift to the main living spaces on the middle level which benefit from expansive views over Herbert Park. 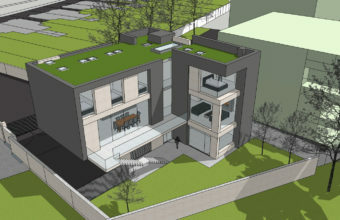 This project was recently granted planning permission.